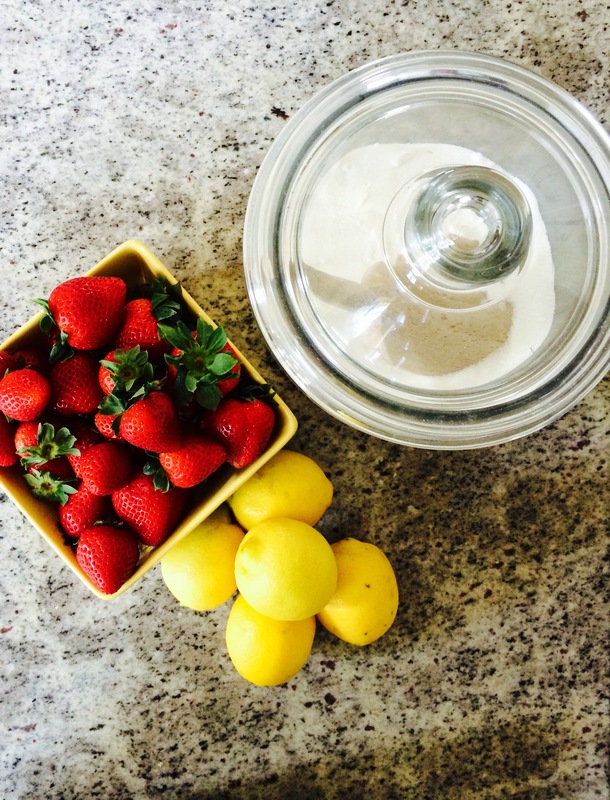 Here’s the recipe for my favorite strawberry jam. I haven’t had luck growing my own strawberries; I usually get one harvest from the plant and then they are just tiny green bushes for the rest of the summer. 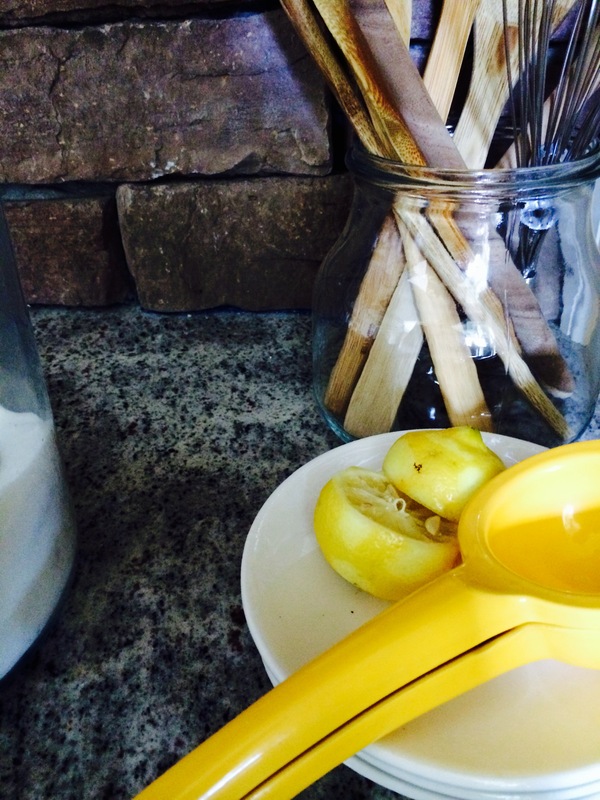 I apologize in advance for the approximations in this recipe, it started out as one that I found and I tweaked measurements and whether or not I added the lemon. feel free to email me if you have any specific questions! sugar, about 1/2 cup (I start with 1/4 cup and add based on necessity. your berries may have been exceptionally sweet and you may be trying to use less sugar. keep in mind the sugar helps with the consistency, so if you use less it may be a more runny jam. still as flavorful though! put strawberries in a saucepan over medium low heat. reduce for about 15 minutes, stirring on occasion and mashing with spoon. the mashing is up to how chunky you like your jam. I prefer plenty of pieces in mine so mashing in my home is minimal. once reduced, add sugar, lemon zest and lemon and continue to reduce until the jam has thickened. I have made the jam with and without lemon, with fresh lemon or (gasp) bottled lemon juice (the shelf life is convenient and is more affordable than fresh, while it achieves some tang, the fresh lemon is worth it in this recipe) and all options are, quite frankly, addicting. it can be served any way you like. I put it on the table with french baguette for brunch, but eat it off of the spoon when I need a sweet treat! I hope you enjoy this recipe and maybe have a chance to try it this weekend! Our local farmers market opens Saturday and I can not wait for the produce and community experience, but I need your help with something. It’s come to my attention that my About Me section is a bit lacking. To be honest, writing about myself is way out of my comfort zone, so when I launched the blog, I did the bare necessities. When I view other blogs or Instagram accounts, I love to see how people can connect: even with the mask of a computer. This weekend, I’ll be working on improving that section and have decided on doing it in a Q&A format. You would be doing me a great service if you commented or emailed me with questions to answer. I’m a super spaz and have no idea where to begin, nor can I recognize what you might want to know about me! Looking forward to your feedback and to getting all sorts of deep with my answers :).